April A. Taylor writes paranormal mysteries, horror, dark fairy tales, and psychological thrillers. 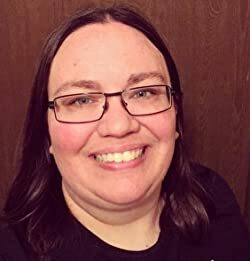 Her debut horror novel, The Haunting of Cabin Green, was featured on the National Endowment for the Arts Podcast and was also a #1 Amazon best-seller in the U.S. Horror category for three straight weeks. April is a member of the Horror Writer's Association. She lives in Michigan with her spouse and their two cats. Please enter your email address and click the Follow button to follow April A. Taylor!